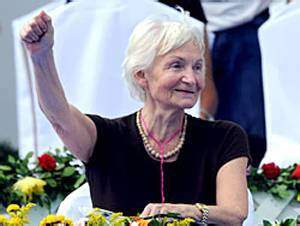 Margot Honecker, born in 1927, former minister of education of the German Democratic Republic and widow of longtime Socialist Unity Party (SED) Secretary General and GDR State Chairperson Erich Honecker (1912-1994), died on May 6 in Santiago, Chile. The German daily newspaper Junge Welt published the complete interview in the German language in November 2015. Workers World thanks both Junge Welt and the Greek journalists who conducted the interview for permission to publish it in full at workers.org last December. The corporate media, in their obituaries, were unanimous in condemning Margot Honecker for her continued defense of communism and of the GDR. This interview makes clear her attitude and analysis. WW now publishes excerpts here. The translation from German was done by contributing editor Greg Butterfield and managing editor John Catalinotto. Antonis Polychronakis: How did the events of 1989 come about? Margot Honecker: If you mean by “the events of 1989,” those of the fall of that year, and particularly the events in the GDR, which I describe as a counterrevolution, one would have to write books about it. Perhaps only this: There was an objective link between foreign and internal political factors. 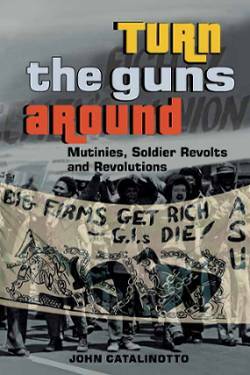 The arms race the United States in the Reagan era forced upon the Soviet Union reached its desired objective: that the Soviet Union armed itself to death. The consequent economic burden for the USSR led to serious social dislocations in the country, which meant that the leading power of the socialist camp could hardly do justice to its domestic and foreign policy responsibilities. The Soviet Union tried to regain mastery of its situation through reforms, and these were initially well intended. But soon the so-called reformers grabbed hold of the central foundations of politics and economics and steered a course toward economic disaster and the destabilization of society. The end result was the surrender of all Soviet achievements. The GDR was involved in this global conflict. In the end, it was part of the socialist community. And in the 1980s, the GDR was also faced with the need to develop or correct its economic policies. There were shortcomings in supply, deficits in social life, which led to dissatisfaction. We have not always done our homework properly — partly from our own inability, partly we were blocked. Obviously, we were unable to convince people and make them conscious of the actual social progress we made compared with a capitalist society dependent on exploitation, oppression and war. So many in the GDR believed they could join together the glittering world of commodities under capitalism and the social security of socialism. But, as Erich Honecker said in various speeches, capitalism and socialism are as hard to unite as fire and water. AP: How do you explain the “uprising” of the East Germans, as it is called in the West? MH: It was not an “uprising.” There were demonstrations, but the workers were working on their jobs, the children went to school, social life continued. Most people who went into the streets in the fall of 1989 were expressing their dissatisfaction. They wanted to make changes and improvements. They wanted a better GDR. They were not demonstrating for its abolition. Not even the opposition wanted that. We, that is, all the progressive forces of Germany [in the post-World War II period] wanted the entire Germany to be a democratic, anti-fascist state. We never surrendered this goal, but were unable to reach it. The founding of the GDR was the result. Resurgent German imperialism fought by all means against it, and in 1989, it saw its opportunity to eliminate the GDR, the other Germany. For forty years it had failed to do this. It was only when the Soviet Union, which had allied with us, then dropped the GDR, that the Federal Republic was successful. What ignited the fuse on the powder keg in 1989 was the increasing exodus of citizens of the German Democratic Republic to the Federal Republic of Germany. The West used all means available to fuel this. Of course, the appeal of consumerism and free travel played a major role. West German propaganda never tired of claiming that those who left the GDR were voting with their feet against socialism. From 1990 until today, however, there are three million people who moved there from Eastern Germany, although now the same political conditions exist in the East as in the West. Why? In the GDR there was no bloodshed, no civil war, no poverty or misery, all these reasons why today hundreds of thousands of people are leaving their homes in the Middle East or in Africa to flee to Europe. AP: In the West it was referred to as a “peaceful revolution,” but how could a “revolution” have been possible at all in a socialist state? MH: A revolution, as I understand it, is a profound social upheaval aimed at the radical transformation of social relations and the liberation of the masses from exploitation and oppression. In this respect, overcoming the reactionary imperialist relations in Russia in 1917, or the creation of an anti-fascist democratic order in 1945 in the Soviet occupation zone in Germany, were revolutions. Capital was deprived of its power to continue to rule over the people. If a reversal is carried out of the social and production relations that had been overcome earlier, and that’s what happened, that cannot be considered a revolution. It is, on the contrary, a counterrevolution. AP: On Nov. 9, 1989, the “anti-fascist protective wall,” the Berlin Wall, as the border was called in the West, fell. Was the wall’s construction in 1961 necessary or was it a mistake? MH: The construction of the “wall” was necessary; otherwise, there would have been war. This was no arbitrary measure by the GDR. This border was a result of World War II, which German imperialism had instigated. This was not simply a state border, however, let alone an internal German border, as it was always called in the West. It was the western border of the Warsaw Pact, the Eastern defense alliance, and the eastern border of NATO. Those were the two most powerful military blocs in the world, which were carrying out a Cold War. The Political Advisory Committee, which was the governing body of the Warsaw Treaty states, decided in the summer of 1961 to close the border in Berlin and the western state border after they decided a military confrontation could no longer be ruled out. I do not think that one can call the prevention of a possible third world war a mistake. AP: What was good in the GDR, and what should the socialist government have done better in order to save the “first socialist state on German soil”? MH: In this state, each person had a place. All children could attend school free of charge. They received vocational training or studied and were guaranteed a job after training. Work was more than just a means to earn money. Men and women received equal pay for equal work and performance. Equality for women was not just on paper. Care for children and the elderly was the law. Medical care was free, cultural and leisure activities affordable. Social security was a matter of course. We knew no beggars or homelessness. There was a sense of solidarity. People felt responsible not only for themselves, but worked in various democratic bodies on the basis of common interests. The GDR was not a paradise. There were defects that complicated daily life, shortcomings in supply and deficiencies in everyday political life. There were decisions made at various levels in which the people concerned were not always included. However, compared with the conditions now prevailing in most capitalist countries, it was close to heaven. AP: Do you remain loyal to Marxism-Leninism and still call yourself a communist, and, if so, why? MH: I not only consider myself one — I am a communist. Loyalty is probably not the appropriate term. Marxism-Leninism is an ideology, a method of investigation to understand the world, the laws according to which it moves, so you can orient yourself in the world. Some believe in a divine will, others in a predetermined fate. We communists are materialists. We follow a scientific outlook, which assumes that the society and everything that arises in it are the work of human beings. Exploitation and oppression are neither divinely ordained, nor are these evils acceptable. We have to fight for a humane, fair, peaceful world, and today that is more urgent than ever. We must refuse to allow that people perish from war, hunger and disease, and that natural resources and the livelihood of the people be depleted or destroyed by ruthless capitalist exploitation, solely for profit. If humanity is to have a future, the power of the banks and corporations must be broken. They will not give up their power voluntarily.